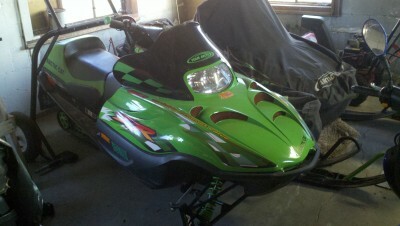 i have a 2001 arcticcat that has aftermarket handlebar risers, snow stuff can. it is extremely quick, has different clutch springs. it is in very good condition. wanting to sell quick before i leave for the marine corps, you can call or text.